Zimbabwean fixed telecoms operator TelOne isn’t just focusing on its home internet solutions and making the most if its voice services. It has also been paying attention to its public WiFi service. It just shared a list of 7 new public WiFi hotspots that have been introduced as part of its ongoing plans to activate the use of its growing fibre network and maintain the strong growth of its public WiFi count which now stands at over 100 hotspots. Other than the installation of hotspots at its exchanges (wonder if this will mean that other TelOne exchanges across Zimbabwe are also prime hotspot candidates) it’s also increasing its presence in high-density areas by targeting neighbourhoods like Warren Park, Kuwadzana, Mabvuku and Chitungwiza. These areas are often not the first port of call for the rollout of fibre services. However, an introduction of public wifi services not only gives TelOne a shot at angling for the huge numbers of potential users, it also extends fibre internet to such areas which could help in the promotion of fibre fast internet uptake among users who first experience it via the hotspot. 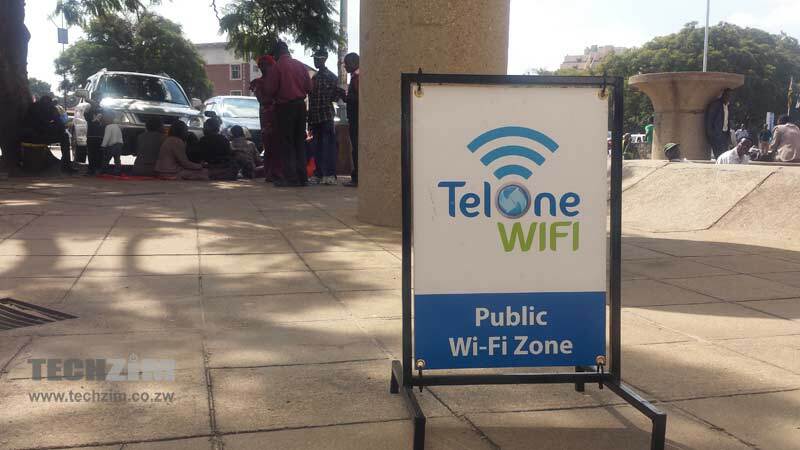 This is a key consideration for TelOne which is yet to launch its mobile network service and is, therefore, accessing the high number of mobile internet users in Zimbabwe through services like public WiFi. There is still one major weakness in the TelOne fibre plan – the focus is still on Harare. Granted, the decisions around the rollout of broadband technology are based on dynamics like anticipated active use (Harare takes the lead on this because of factors like population density and economic activity), but there are a lot of areas outside the capital city that would also benefit from a public WiFi presence. Most TelOne exchanges are right in the CBD of most towns/cities. Wish TelOne could utilize this infrastructure?